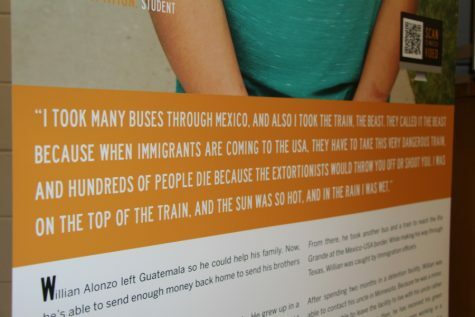 Before winter break, you may have noticed that there were signs posted around the building with pictures and quotes from student immigrants. Who are the students? Why were they interviewed? And what is the intended outcome of the project? The organization behind the making of the signs is a nonprofit called Green Card Voices. Their goal is to help share the personal stories and experiences of immigrants with the hope of challenging stereotypes, and help to build bridges of understanding and connection between immigrants and nonimmigrants. Green Card Voices did not initially plan to interview the Wellstone students. “Wellstone… approached us, and said, ‘we would really like to include this as part of our curriculum’, and they wanted to partner with us. That sounded like something that was manageable and respectful to the students… [then] we preceded with recording the stories… it’s worked out really well,” recounted Rozman-Clark. After the students’ stories were recorded and shared as videos on the Green Card Voices website, the signs were made and displayed at South. The stories were used to create a book, “Green Card Voices,” that can currently be found in South’s media center. More recently, Green Card Voices has expanded their program with projects like the Wellstone project. 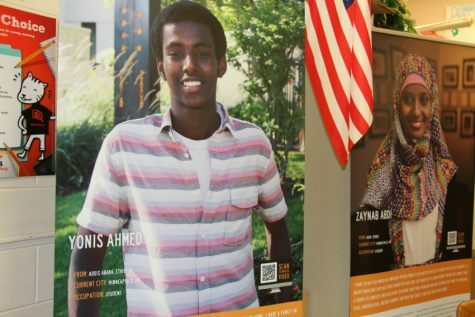 They are also working on a project interviewing people in Fargo, Minnesota, and will be publishing a book called “Immigrants Coming from 22 Countries.” In addition, they will be interviewing students at another international high school in St. Paul, and will be publishing a book with those students’ stories. Would. Like to record some personal experience s of our time in States. Please advise.